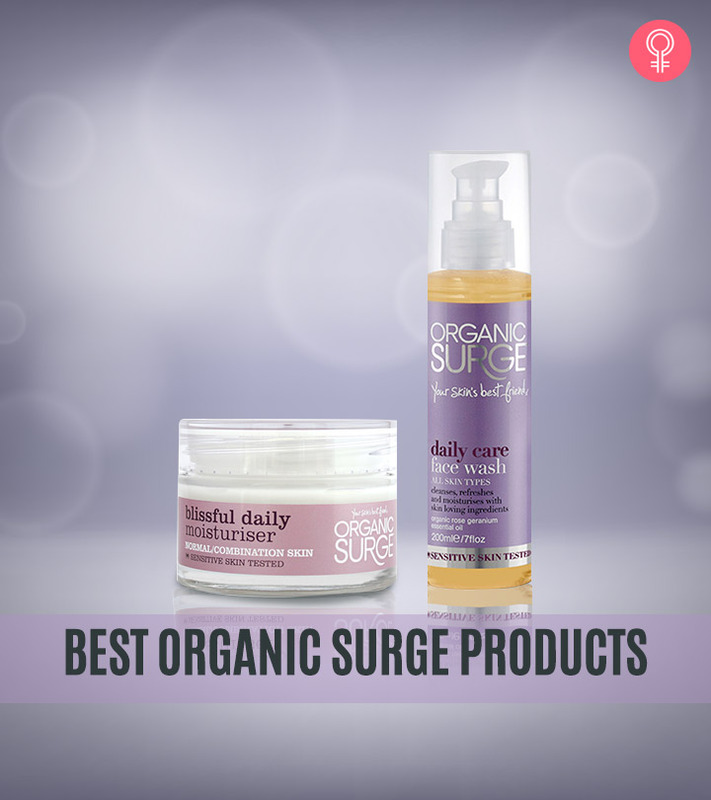 Organic Surge is an award-winning brand from UK which has made its presence felt in India over the last few years with its amazing line of natural and organic skin and hair care products. 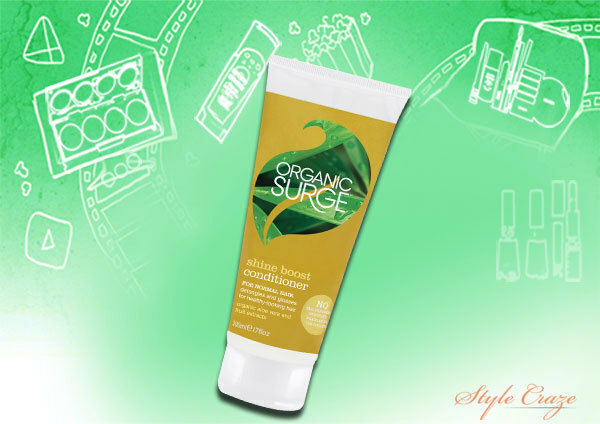 As they are free from such harsh chemicals and also against animal testing (hence cruelty free), Organic Surge is easily the preferred choice of many. A personal favorite that I have been using over a year, this shampoo is enriched with natural actives – organic grapefruit, citrus essential oils (lemon and orange) and natural glycerin. It gently cleanses the hair and scalp of all impurities, adds the necessary moisture to the hair, leaves the hair soft, shiny, bouncy and free of tangles, and also has a refreshing citrusy fragrance. 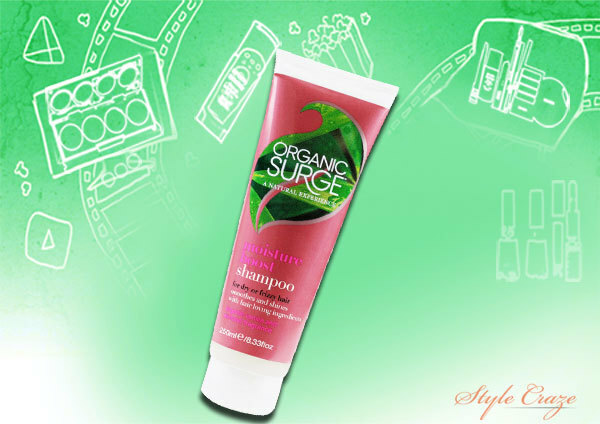 Meant to be used in conjunction with the Shine Boost shampoo, this conditioner is 100% free from silicones. It makes the hair smooth, frees it of tangles; adds natural shine to the locks and helps to keep the hair protected from day to day external damage caused by environmental factors as well as styling. Formulated specially for dry or frizzy hair, this is one of their bestselling Organic Surge products. With Palmarosa essential oil, Seaweed extract and Vitamin E, this helps to tame frizz, retains moisture and makes the hair more manageable, smooth and shiny while naturally hydrating and protecting it from environmental damage. Enriched with Rose geranium essential oil, Aloe Vera and Vitamin E, this is a very gentle yet effective face wash from Organic Surge meant for use on all skin types. 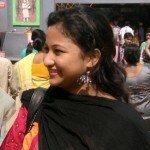 It is tested for use on sensitive skin as well. It helps to remove oil, impurities and even make up from the skin, while refreshing and hydrating it for soft and glowing skin with every use. Containing rosemary, sweet orange and lemon essential oils, green tea, grape seed and sweet almond oils, this is yet another bestseller from Organic Surge. It feels light on the skin, gets absorbed fast and is non-greasy, soothes sensitive or irritated skin; hydrates the skin, leaving it nourished, soft and beautiful. A natural exfoliator containing finely grounded walnut shells and apricot stones in a creamy base this helps to gently scrub away and get rid of dead skin cells while the organic essential oils cleanse tone and rejuvenate the skin for that natural glow. With natural glycerin and sweet almond oil, it also adds moisture to the skin. An award-winning product, this contains the goodness of Aloe Vera, green tea, witch hazel, Menthol and Eyebright. Formulated for the delicate skin around our eyes, this lightweight gel gets absorbed fast, refreshes, and cools, rejuvenates and brightens the eye area, reducing puffiness and shadows with continued usage. With a refreshing fragrance to soothe the senses, this gets absorbed fast and keeps the skin beautifully hydrated all day. No more dryness or irritation but only soft, nourished and smooth skin is what you get with this great body lotion. 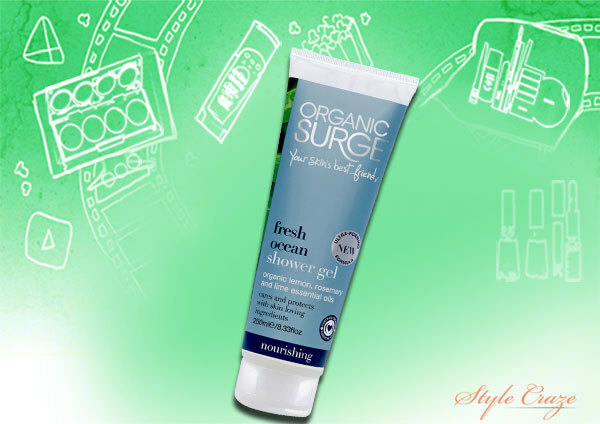 To cleanse, detoxify, rejuvenate, soothe and moisturize dull and dry skin the Organic Surge Fresh Ocean Shower Gel is the perfect choice. With its refreshing fragrance, this helps to revive the senses for an all-day fresh feeling. To rejuvenate dull and tired skin, this non-drying face mask is the perfect choice for a quick fix. It nourishes and adds moisture to the skin while deep cleansing it to leave the skin clear and glowing. 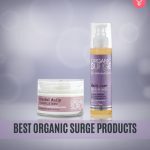 Have you used any product from Organic Surge?